Description: Taekwondo is characterized by its emphasis on head-height kicks, jumping and spinning kicks, and fast kicking techniques. To facilitate fast, turning kicks, Taekwondo generally adopts stances that are narrower and hence less-stable than the broader, wide stances used by martial arts such as karate. The trade off of decreased stability is believed to be worth the commensurate increase in agility. While using this style, the user's kicks would appear as a blur to anyone not trained in Taijutsu or using Kenjutsu, making close ranged combat incredibly dangerous for any opponent. Description: Rapid Step is a high-speed movement technique, allowing a ninja to move short to long distances at an almost untraceable speed. To an observer, it appears as if the user has teleported. A puff of smoke is occasionally used to disguise the user's movements. It is accomplished by using chakra to temporarily vitalise the body and move at extreme speeds. The amount of chakra required depends on the overall distance and elevation between the user and the intended destination. (May not attack immediately after or during its use. This applies to all techniques akin to this jutsu.) This is basically just the Taijutsu version of a flicker, traveling at the user's Taijutsu speed. Description: A combat method that involves controlling the entire radius within one's arm length, creating a spherical shield around oneself. It can be used for offence and defense. The Seikūken is able to effectively counter any Taijutsu or Kenjutsu technique of equal rank, even able to counter multiple techniques of B-Ranked and lower power at the same time. If used correctly, one can then follow up this technique with another powerful technique, effectively destroying one's opponent. Weakness: The Seikūken can only be erected with a calm mind (i.e. jumping around or moving will make it difficult). if one is not calm, it would be near impossible for him or her to erect the Seikūken. Description: A kick that is aimed at the enemies head. If the enemy should duck, Juri is able to change her pivot in mid air and swing her heel down on her opponent's head like an axe. Weakness: Close ranged attack, if it missed leaves the user open. Description: It is a powerful kick, Juri holds one of her legs over her head then releases it downward, hitting the target with great force. Has enough power to bend metal and destroy concrete easily. Description: Juri uses an even more powerful version of the hammer kick, first she holds one of her legs over her head and releases it downward, then releases the other leg downward, right on top of the first leg, adding more power to the kick. Description: Juri cartwheels through the air with a large amount of chakra emanating from her feet. This technique can launch Juri from short to mid distance in almost no time, catching any opponent off guard. Being such a powerful technique, large boulders could be crushed, even metal can be damaged if hit with the full force. Once using the technique, Juri's chakra becomes a visible purple, making her entire body glow. Weakness: The Senpusha can be disadvantageous, and tends to leave Juri open as she finishes the cartwheels. Description: After concentrating enough chakra into their legs, the user then begins to unleash a swift and powerful barrage of kicks, all with a tremendous amount of force, compared to a tidal wave. Once the technique is in use, powerful shock waves from each kick are sent barreling towards a target, up to 15 meters away from the user. While in use, the user's chakra is a visible purple, including each shockwave. About 100 kicks are thrown in total, but 10 shock-waves are formed. Being S-Ranked, the power of said technique is said to be able to even destroy metal, while the speed is almost invisible to anyone who isn't at least a Master in Taijutsu or Kenjutsu. Weakness: Has a cooldown of 10 post. How fast is the 100 kicks of the fuharenji. Well since I'm Taijutsu Master, and it's S-Ranked, Taijutsu Master speed. Weakness: Requires Adept Taijutsu and adept Ijutsu. Isn't this jutsu in the medical library list, why apping it again. Ryan told me to create this, plus the cannon jutsu doesn't give enough info. 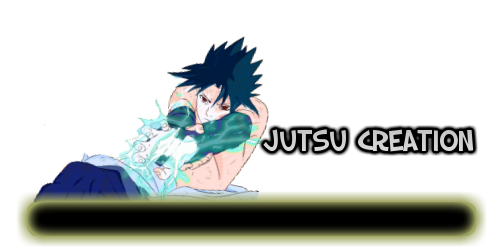 Description: The user of this Ijutsu technique is able to first enlarge their muscles to an incredible amount, "tanking" damage. All while protecting the user's more important areas of their body safe, only harming the outer skin. Flesh Armor allows the user to receive up to A-Ranked taijutsu/weaponry damage and up to B-rank Ninjutsu damage. Anyone that has Chakra Enhanced Strength is able to boost the abilities though. In this case S-Ranked Taijutsu/Kenjutsu and A-Ranked Ninjutsu would be nullified on impact by the user's extremely strong body. Of course the user feels the technique used against them, but using medical Ninjutsu they can both heal the skin (and muscles) damaged, while lessening the pain. Weakness: Doesn't nullify pain in anyway. Description: An advanced Ijutsu technique that can freely control the nervous system to intensify pain within the users body at will. This allows the user to break from strong genjutsu at will, if they can't use kai at the moment or want to save their body's from taking heavy loss by inflicting a self wound upon themselves. Weakness: If the user has to use this to break a S-ranked jutsu, they're incapable of fighting for one full post. Description: The principles of this technique is to take advantage of the muscles' ability to grow stronger after repairing itself from damage. Understanding this theory, the Body Revival Technique can repair the user's body and increase its strength by manipulating the "Destruction and Rebirth" cycle of the muscles. This technique allows the user to survive any otherwise normally fatal damage and instantly heal from the damage. A unique trait of this technique is that it can momentarily give the user the appearance of death, fooling even the most talented medical-nins. Weakness: Things like the brain and dismembered limbs cannot be recovered. Also after the user ceases this technique, it cannot be used for a full topic. First time I have ever approved more than 2 items without having to adjust something. Nice. But you have a black template in there by the way. Description: Harnessing both Ninjutsu and Sensory, the user is able to create an earth like binding technique. First the user must create the four required hand seals, then stomps, which instantly traces anything touching the ground. Earth then begins to move, while underground, towards any target(s) the user decides to attack. With speed the earth then erupts from the ground and binds onto an opponents legs, quickly wrapping around their entire body and head, leaving them unable to move. The earth cannot be seen, felt or heard while underground (unless the opponent is using some sort of jutsu or has altered senses). This technique can work on multiple targets, and will keep following said targets until it touches them. While the technique is 1 meter in distance and diameter, the height of the crater is 20 meters deep, making it quite hard to climb out of. Weakness: Anybody with Taijutsu Adept or higher strength can break free, though it would still slow them. Can only attach itself to a target once per topic. Description: Using the ferocious power of the both Chakra Enhanced Strength and the Earth release, Juri Han is able to create a massive amount of damage over a long distance. First, the user gathers a large sum of chakra into either their legs or hands, enough for it to visibly glow purple. Then the user jumps (about 5 meters) into the air (but can also be dropped from at least 10 meters, which doubles the power) and focuses all that concentrated chakra into the ground, creating a HUGE shockwave that rivals an Earthquake of 9.5 magnitude. 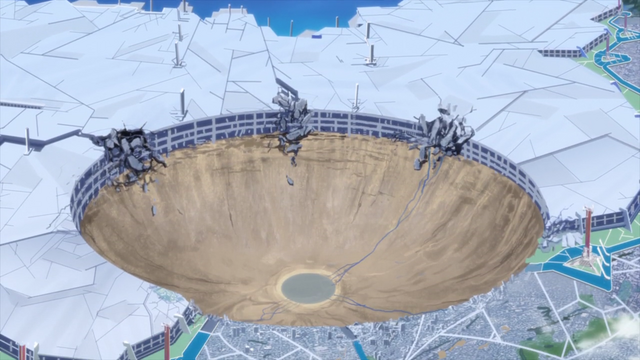 This destroys everything in it's path, creating a huge crater a mile in diameter. After this attack the user remains in the epicenter, unharmed, but surrounded by destruction. If an object or being were to instead get hit by this attack, said mentioned would be literally obliterated, as if they were hit by a falling skyscraper. This is an idea of how the technique looks. Weakness: Getting the technique ready could leave the user open for an attack, since you have to basically gain a bit of height. This technique can only be used once per topic. Description: By having complete control over their own body, the user is able to isolate any form of posion, toxin or venom that enters the body and vomit it through their mouths in the form of about a liter of blood. This in turn prevents them from feeling any of the negative effects the said tools cause. After the user vomits, they then begin to reproduce blood cells in their bodies to make up for the lost blood. Weakness: Losing a liter of blood in an instant would cause the user to become dizzy and lightheaded. How many posts for dizzyness and this jutsu needs a cooldown. Can't have you using this jutsu after every poison strike from a weapon. 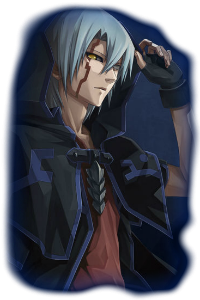 I dunno bout ragnarok.. Too opz.. Description: Using swift speeds, the user is able to basically combine the substitution jutsu, flicker and shadow clone jutsu. First the user "disappears" with their blinding speed (not required) and forms a single hand seal. In their previous location the user leaves behind a clone, while they rapidly move towards another location with blinding speeds. The clone then can either take damage and fool the enemy, or counter attack. This allows the user to catch someone off guard, and gives them an opening. 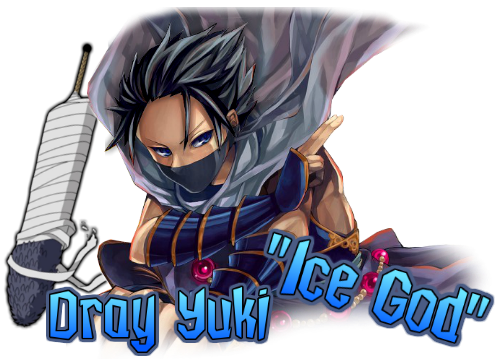 Weakness: People with Master Buki, sensory skills or Byakugan/Sharnigan will easily see the user. unapproved, bump to A-Rank since this is a combination of a B-Rank D-Rank and E-Rank jutsu.